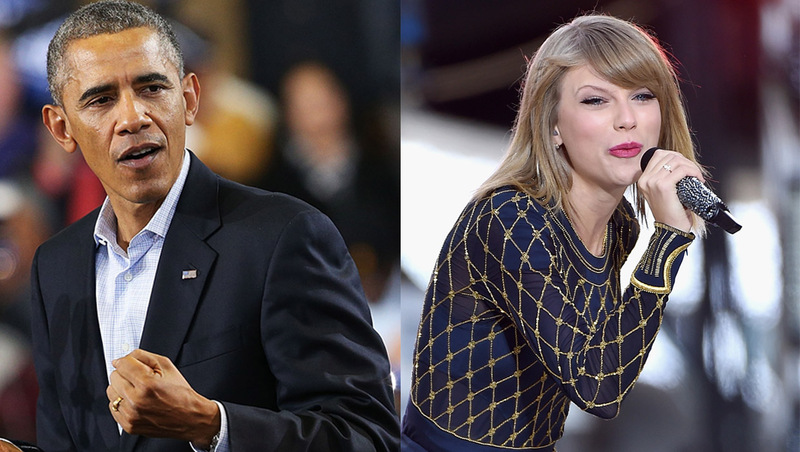 Taylor Swift's "Shake It Off" gets Obama remix on "The Tonight Show"
Even President Barack Obama can "Shake It Off" just like the rest of us, with a little help from Jimmy Fallon. The "Tonight Show" host showed off a humorous mash-up music video, combining speeches made by the president with audio from Taylor Swift's hit single -- currently holding the No. 2 spot in its tenth week on Billboard's Hot 100 chart. To mark the 2014 midterm elections on Tuesday, Fallon made mention of a speech delivered by Mr. Obama this past Sunday to support then-Pennsylvania gubernatorial candidate, and now Governor-elect, Tom Wolf. In the speech, Mr. Obama urged supporters to go out and "vote, vote, vote." "Personally I think the problem with that message is that it's not catchy enough," Fallon told his studio audience. "So we thought we'd help out with that." After presenting the video, Fallon jokingly pointed out that the mash-up track would not be available on Spotify, in reference to Swift's recent removal of her entire song catalog from the music streaming service. "Shake It Off" can be found on Swift's newly-released album, "1989," which made its debut at No. 1 this week on Billboard's album chart, with 1.287 million copies sold.